Today (3/13) only these AcuRite Weather Stations start at only $50.99 (Reg. $79.99)! Three styles to choose from. 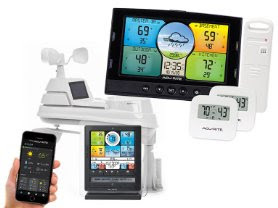 Check out this AcuRite 01105M PRO+ Color 5-in-1 Weather Station just $93.99 (Reg. $169.99)!